A: Since we are a home-based business, we don't have scheduled business hours. So give us a call, text, or email us to schedule an appointment. Q: What if I don't finish my quilt during my rental session? Can I leave it on the machine and come back later? A: That's a great question! It depends on if there is another appointment following yours. But no worries! We'll know that ahead of time. 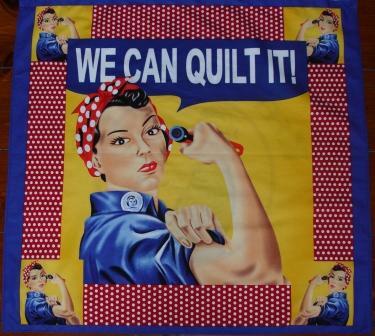 We do encourage everyone to finish their quilts in their appointed time. We understand that situations can arise and will work with you. Q: What happens if I want a thread color that you don't have in stock? A: We can special order your choice of thread, and this cost will be added to your bill. However, we have over 90 colors to choose from and we're certain we will have a shade that will appeal to you. Q: How often do I need to take the rental class? A: Just once. The class is designed to teach you the basic operations of the machine. We teach from an easy to use book which is available for reference whenever you rent our machine. We're here to help and answer any of your questions. Q: Where do you buy your fabric? A: Bay Window Quilt Shop! Located in Perham, MN, it's a wonderful store with great fabric and great people! A: We DO NOT share or sell your personal information with anyone.